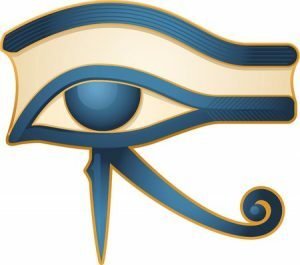 Horus, in the Ancient Egyptian language, means He who is above. As such, Horus represents the realized divine principle. Horus is the personification of the goal of all initiated teachings, and is always depicted as accompanying the realized soul to the Source. 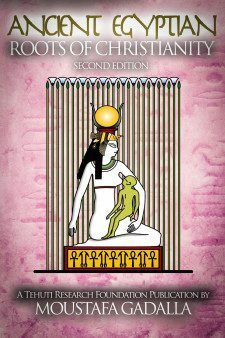 In the Ancient Egyptian allegory, Horus brought Osiris to life. On Judgment Day, Horus shows the Way to Osiris. He acts as a mediator between the deceased and Osiris, The Father. All Egyptians wanted/want Horus to bring them (when dead) to life. Likewise in Christianity, the Christian motif was/is based on the need for a mediator and a son of god as an all-powerful shepherd and a begotten savior living among the common man. 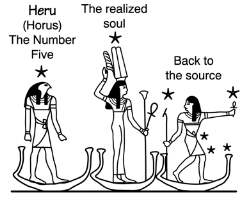 As the model of earthly existence, Horus is represented in several forms and aspects to correspond with the stages of the process of spiritualization.